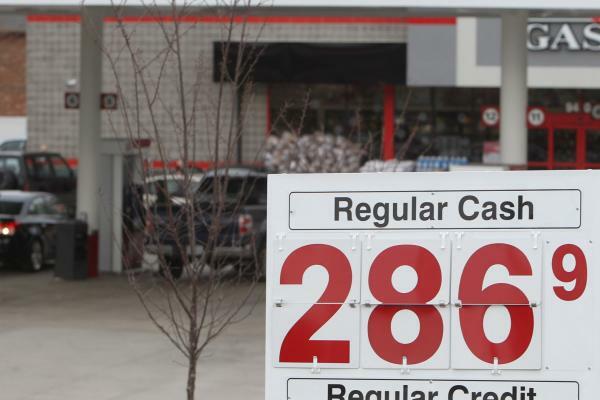 July 10 (UPI) — Consumer demand strains and the lack of extra oil on the global market mean retail gas prices in the United States continue to climb, analysts said. Motor club AAA lists a national average retail price of $ 2.86 for a gallon of regular unleaded gasoline on Tuesday, relatively unchanged since one week ago. Americans returned to work this week after a long holiday to mark Independence Day with gas prices at four-year highs. Nationally, commodity pricing group S&P Global Platts reported that it expected to see a drain on gasoline inventories of 1 million barrels, in line with seasonal trends. That suggests demand for consumer fuels remains high, despite the price at the pump. “Demand for gasoline this summer remains very strong week-over-week, driving gas prices higher alongside rising crude prices,” AAA spokeswoman Jeanette Casselano said in a statement. Gasoline prices are stable from last week, but up 60 cents per gallon from this date last year. The price for Brent crude oil, the global benchmark, is up about $ 1.50 per barrel from last week and $ 32 more than this time last year. “There’s little downward pressure on oil prices as we remain in the midst of the summer driving season, and unless we see credible evidence to suggest OPEC or other countries are producing more oil, we will likely continue to see gas prices drift higher,” DeHaan added. By region, the West Coast remains the most expensive in the countries, though prices have dropped off somewhat from last week. Arizona has the lowest state average in the region at $ 3 per gallon. Gasoline inventories in that market dropped slightly last week, but remain higher than at this point last year and keeping the price at the pump in check. The Great Lakes market is the most volatile, but there too the situation is stabilizing. Michigan had the biggest drop in prices at 7 cents, while Ohio saw a 6 cent increase in the price of gas. Gasoline inventories there are stable, but the market could be influenced by problems at a Canadian oil processing facility. A federal estimate puts the price of gas for the summer driving season, which ends in September, at $ 2.87 per a gallon of regular unleaded.